"Baby, it's cold outside" aren't just some catchy Christmas lyrics in Wisconsin this week. It is cold. Frigid. Freezing. We're talking polar vortex cold. 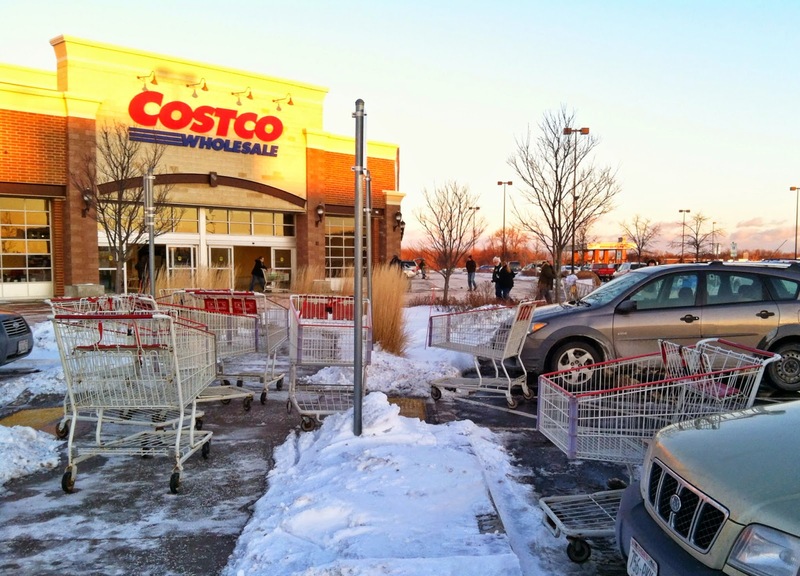 And so, for this week's Kindness Countdown activity, I wanted to do something to help someone whom the below-zero temps affect: the Costco cart guy. My son and I bundled up and headed out while the sun was still high in the sky to take advantage of the maximum temperature for the day: 2 degrees (-21 wind chill). When we arrived, the parking lot was just as I had expected...there were carts everywhere...with more being added as people finished loading their newly-purchased goods into their cars. 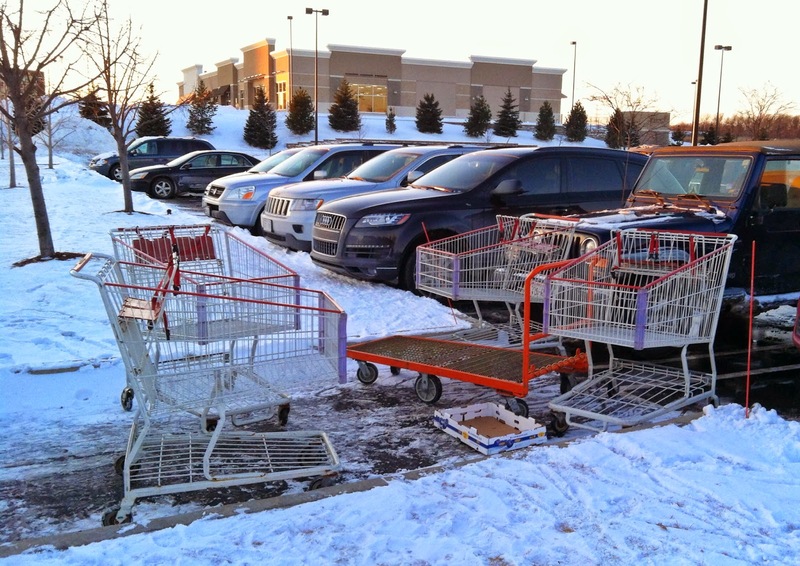 In the shoppers' defense, the cart corrals are w-i-d-e-l-y space out in the parking lot and it's difficult to maneuver the double-wide carts through cars on even the most beautiful of days. My son and I worked as a team to return all of the abandoned carts back to the building since the nearest cart corral was further away. He started with the carts closest to the building while I began with the carts with the longest trek to make. 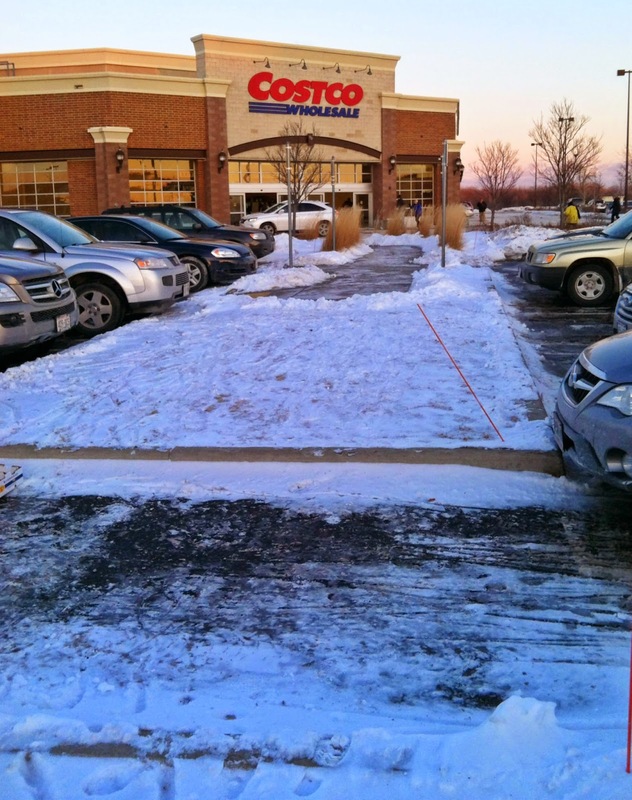 A few people were thrilled with my offer to return their carts when they were unloaded, anxious to get into their heated cars and home to begin their weekends after a cold week of commuting to and from work. One man asked, "Are you cleaning up the parking lot? Oh, I'll help!" He shortened our chore by four, taking two trips of two. And the woman checking cards inside the door, recognizing us from our years of shopping there and after seeing us return carts over and over and over again, asked if we were ever coming in to shop. "No," I said, "Not today. Today we only came to help return carts." I'm happy to report the parking lot was free of miscellaneous carts when we left, and just in time...our feet and fingers were starting to freeze. But it felt good to be outside in the cold, working alongside my son. And we had fun, after we had gotten back into the car and blasted the heat, talking about the look that would be on the face of the person who would dread coming outside to collect carts in the cold, when he saw that part of his task was already complete.